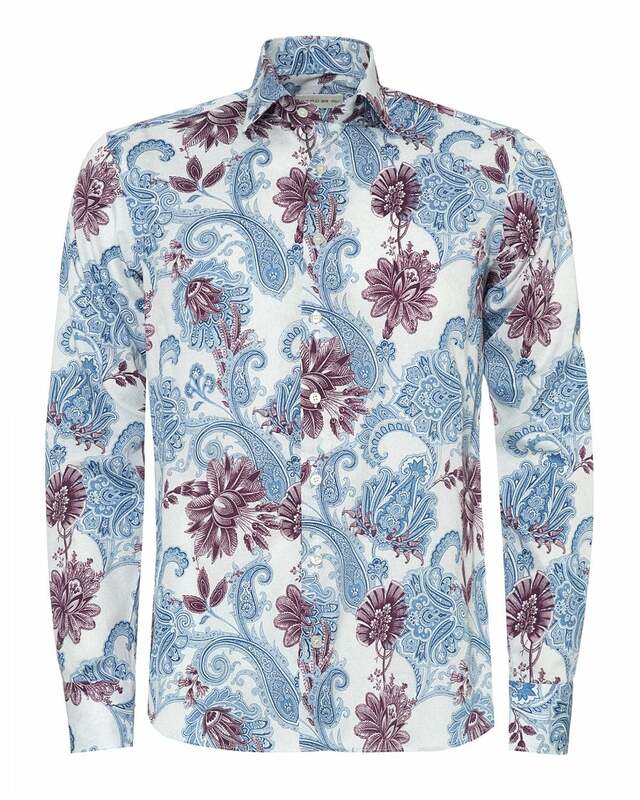 This floral and paisley print by Etro offers a bold and unique look. A white-based shirt, this item is sure to turn heads. Best paired with Nudie dark wash jeans and loafers for smart events.